Compete for control over a planetary system which is randomly generated for a unique experience each time you play. Your opponent will be second guessing your every turn so you must outwit them to gain ownership over each planet. Use cunning to manipulate the stock market to earn a fortune and buy drills. Use skill to balance maximum resource gain whilst earning as many points as possible. Gain control, rule the system. 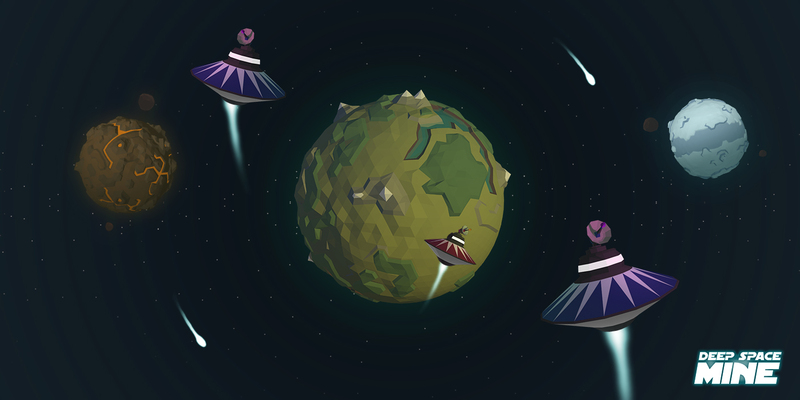 We've enhanced the planetary farming experience by adding visual feedback when launching probes! Our feature on Double Up Gaming about how Deep Space Mine came to be. Take a behind the scenes look at the development process!